Is RIM about to start losing customers? For the first time in BlackBerry's history, its users have stopped growing as RIM struggles to maintain a foothold in the smartphone market. The Globe and Mail cites comments from analysts, who claim the total number of BlackBerry users has stagnated, and may even be in decline. Kris Thompson of National Bank Financial said: "This is the first quarter we are expecting zero subscriber growth – a loss in enterprise [customers] offset by a small gain in international consumer subs. "Starting next quarter, we see the sub base in a downward spiral with BlackBerry 10 potentially slowing [the losses], but we're not holding our breath." As Thompson hints, BlackBerry 10 is likely to be the make or break point for the Canadian firm, as it pins its hope on the new operating system and prays it will be well received. 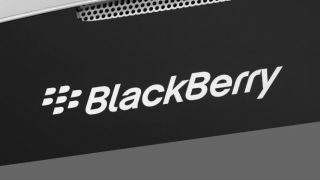 The launch of BB10 was initially pegged for earlier this summer, but it was then pushed back to the end of the year, and then RIM CEO Thorsten Heins announced the first BlackBerry 10 devices would launch in January 2013. TechRadar has contacted RIM who said: "we do not comment on speculation". Thorsten Heins is due to make a keynote speech at RIM's Jam Americas later today, where details on user growth may be revealed.